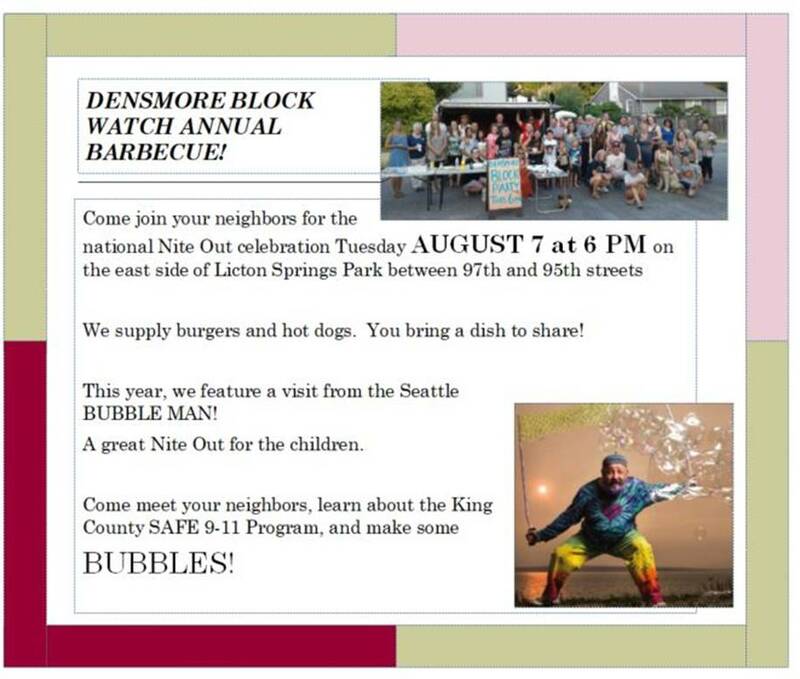 If your direct area isn't getting together, the Densmore Block Watch Barbecue is open to the entire neighborhood and is holding its night out at Licton Spring Park. Click here for a map of all the Night Out celebrations being held accross Seattle. Did we miss your Night Out celebration? Let us know in a comment below!